I don't usually buy much wine on my own apart from what I share with my colleagues from our Wine Fund of the Month. However when your oenophobic boyfriend suddenly requests to try wine and indulge you, you go hunting for a good bottle. 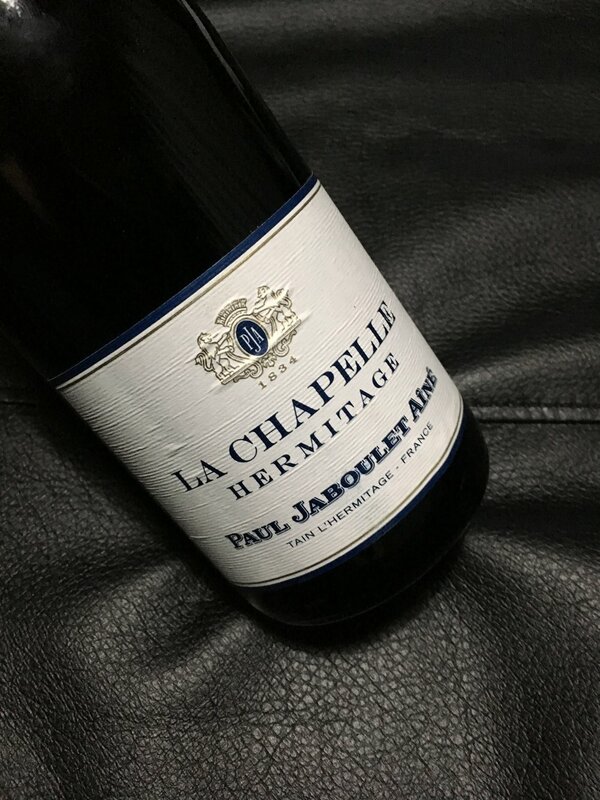 It was completely by chance that I stumbled on this great bottle of Paul Jaboulet Ainé Hermitage La Chapelle 2007 on discount (RIGHT?!). Although I know the wine well from auction but I've never actually really tasted Jaboulet's La Chapelle. Having NOT done my research well beforehand, I lucked out in that 2007 was a surprising good vintage of the estate, per The Wine Cellar Insider. Boy were we in for a treat. 100% from the Syrah, it went perfectly with my mundane-although-tasty spaghetti and meatballs. I can understand completely why this is quite sought after as its miles beyond most Hermitage wines I've tried before. Spicy yet lush, this 10 year old wine can easily age another 20. It was surprisingly young and quite strong and tannic in the mouth at this age. However it would be remiss to not say if it was still balanced, refined and elegant despite the vigour of the fruit and oak. For the few hours after it was opened, it was still lovely and blooming brightly. Never did it wane in the nose or the mouth, with an extended finish and holding up nicely. Fantastic wine and if I have the chance to find it at such a price again, you can bet that I'll readily scoop it up again. Tasting note: absolutely divine on the nose (Pepper, chocolate and hints of tobacco) and on the palate (rich ripe berries and black plum with more cocoa), this is an extraordinary wine that I was fortunate to have grace my palette. Fantastic long yet even finish. Everything you should expect from a top cuvée from a top estate.